Ahead of his article in Intelligent Transport Issue 5 2016, Michele Tozzi, EBSF_2 (European Bus Systems of the Future 2) Project Director at UITP, provides a quick overview of the EBSF_2 project and gives a key example of intelligent garage and predictive maintenance innovations from Ravenna. EBSF_2 is testing, evaluating and validating innovative technological solutions or strategies for urban and suburban bus systems through demonstrations in real service. The ultimate goal is to improve the efficiency of operations mainly in terms of costs and energy consumption but also to increase the modal share of bus services by improving the image of the bus for the users. Demonstrations in 12 cities (Barcelona, Dresden, Gothenburg, Helsinki, London, Lyon, Madrid, Paris Area, Paris City, Ravenna, San Sebastian, and Stuttgart) are currently taking place and address several key areas for innovation: energy strategy and auxiliaries, green driver assistance systems, IT standards introduction in existing fleets, vehicle design (capacity, modularity, accessibility), the interface between the bus and urban infrastructures, and intelligent garage and predictive maintenance. Each of these cities have committed to test a subset of innovations and several vehicles have equipped these solutions and are running in operation for a period of between six months and one year. Key solutions that still require more steps for a wide acceptance in the market are also evaluated in the project through the use of prototypes and simulation tools. EBSF_2 is also developing guidelines and tools to facilitate the introduction of innovative bus systems. This is where demonstrations such as in Ravenna come into focus. Key components of the demonstration include predictive maintenance and the analysis of a maintenance budget. 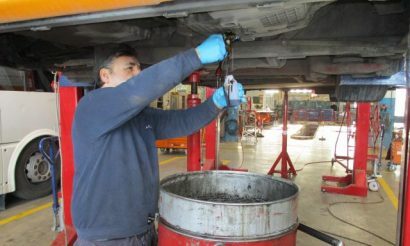 Bus maintenance tasks are usually performed with basic procedures. Innovative solutions can offer new tools to change the paradigm for the diagnostic and the maintenance of vehicle fleets. Predictive procedures supported by an accurate maintenance budget plan are key elements to increase reliability of bus operations. The optimisation of the maintenance schedule allows the decrease of costs, breaks, spare parts usage and also the quantity of waste material. 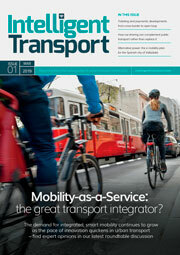 As a result, the service scheduling can be more precise and need less spare vehicles. Like blood analysis can predict malfunctioning of our body, monitoring the engine oil quality can tell a lot about the health of an engine. Residual metals can point out components becoming corroded and give a signal that maintenance operations are necessary before the scheduled ones. On the other hand, if the results of the oil analysis are good, the ordinary maintenance could be postponed with a reduction of the costs. Within EBSF_2, the Ravenna demonstration Team (led by Pluservice, and including MEL-System, START ROMAGNA, UNIROMA1, ITXPT) will develop and test a maintenance software to analyse data coming from oil quality sensors as well as real time information collected via the Automatic Vehicle Monitoring, in order to move from a scheduled maintenance to a predictive one by forecasting the remaining life of specific engine components. An advanced filter able to remove very small particles from the lubricant will be also tested to extend the life of the engine oil. In addition, the new maintenance procedures will be complemented by the development of a software application for the analysis of maintenance budget. The demonstration will be conducted in real operation thanks to the involvement of START ROMAGNA which operates public transport services in the provinces of Ravenna, Forlì-Cesena and Rimini (Italy). 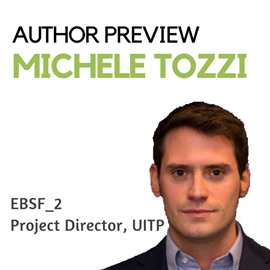 Michele Tozzi’s full article on EBSF_2 can be read in Intelligent Transport Issue 5 2016. Click here to sign-up and receive your free print or online subscription.